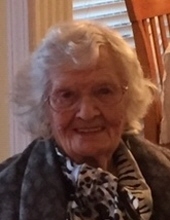 A Bardstown resident Mrs. Nancy Howard age 96, passed away Wednesday, November 21, 2018 at Signature Health of Bardstown. She was born on February 12, 1922 in Nelson County to the late Russell and Mary Myrtle Greenwell Downs. Nancy was retired from Jim Beam Brands after 28 years of service, a Ky. Colonel and a member of the American Legion Ladies Auxiliary Post #121. She was also a former member of the Oklahoma Historical Society, honorable member of the Ottawa Indian Tribe and was a member of St. Joseph Catholic Church. Besides her parents she was preceded in death by 2 sisters, Margaret Coulter and Elgetha Piles and a brother Kenny Downs. Nancy is survived by 2 daughters, Nancy (Bob) Daugherty of Louisville, Linda (Tom) Kennedy of Portland, IN., one son, Billy (Carolyn) Howard of Louisville, a brother, Melvin (Jody) Downs of Chatanooga, TN. She is also survived by 8 grandchildren, 20 great grandchildren and 3 great-great granddaughters. A Mass of Christian burial will be 1:00pm Saturday, November 24, 2018 at the Basilica of St. Joseph Proto-Cathedral with Reverend Terry Bradshaw celebrant. Interment will be in St. Joseph Cemetery. Visitation will be Friday, November 23rd, from 3:00-8:00pm with evening prayers and Saturday after 9:00am at the Houghlin Greenwell Funeral Home, 1475 New Shepherdsville Road, who is in charge of arrangements. To send flowers or a remembrance gift to the family of Nancy Howard, please visit our Tribute Store. 310 W Stephen Foster Ave.
"Email Address" would like to share the life celebration of Nancy Howard. Click on the "link" to go to share a favorite memory or leave a condolence message for the family.